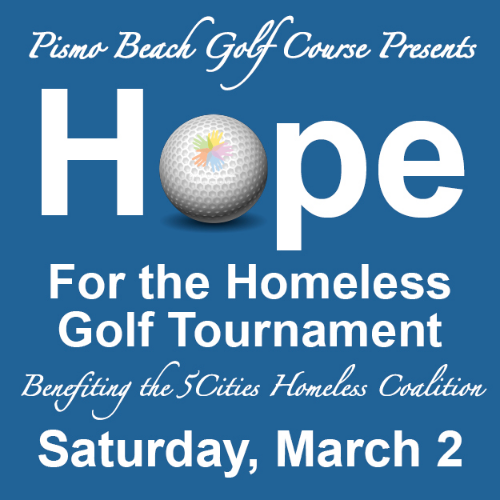 Thanks to Pismo Beach Golf Course, Fin’s Seafood Restaurant and many generous sponsors, 100% of the proceeds from the 5th annual “Hope for the Homeless” Golf Tournament on Saturday, March 2 will be donated to 5Cities Homeless Coalition. The 9-hole scramble supports the critical needs of children, youth and families impacted by homelessness in southern San Luis Obispo County. The tournament supports the critical needs of children, youth and families impacted by homelessness in southern San Luis Obispo County. The nine-hole scramble format features cash and prizes for hole-in-one, in-the-circle, closest-to-pin, longest birdie putt on hole #9, and first and second place team winners. The $225 five-member team entry fee ($45 per player) includes morning coffee and pastries, green fees, and a tri-tip BBQ lunch and dessert following the tournament. Check-in begins at 7 a.m. with an 8 a.m. start. For additional fees players can purchase a Mulligan and rent clubs or golf carts (first come first served). Extra tickets to the post-tournament BBQ and dessert are available at $10 each in advance or at the door. 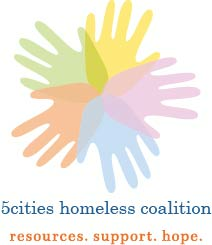 Event sponsorships are available by contacting Charlotte Alexander, [email protected], 805-574-1638.